The lesson from 6 to 7pm will give you some information about how milongas work, highly recommended for newcomers! The lesson is included in the entry fee (3€). 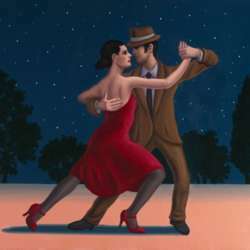 You can come and dance, or just come and see what tango is all about, in the real setting of social dancing.